Frankie Wainman Junior has been taking the chequered flag in Formula 1 stock car races for thirty years – never before has one driver been so successful for so long. Thirteen-time National Points Champion, nine-time British Champion and World Champion in three different countries – the scale of his achievements are unmatched. Now, Frankie reveals all about his life behind the wheel. Discover the anguish of missing out on World Final success, the joy of winning titles around the world, the pain felt after the death of a fellow driver, the determination needed to maintain superstar status for decades. 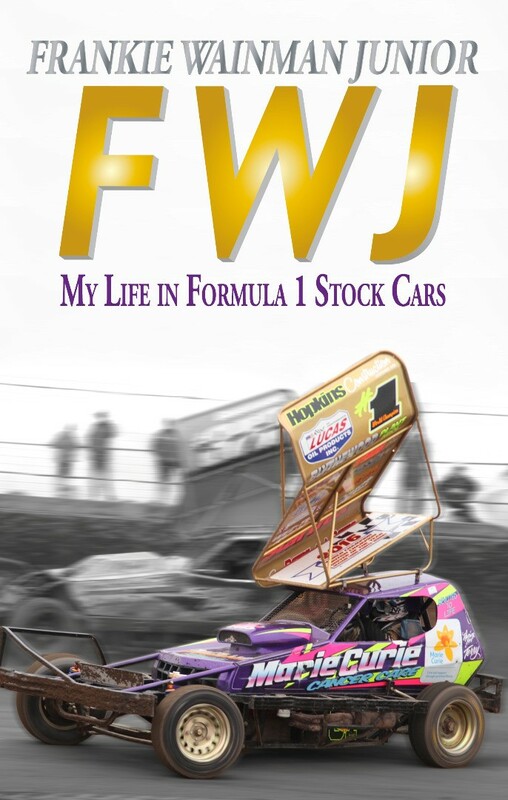 Whether you’re a die-hard Wainman fan or someone who loves to boo him, let FWJ tell you how he became an icon of oval motorsport in his own words. Frankie Wainman Junior is one of the most successful drivers in the history of oval motorsport. Since his debut in Formula 1 stock cars in 1987 at the age of sixteen, he has won more than 1,000 races including 275 finals. He is the only driver to have won the premier title in three different countries: the UK World Final, New Zealand World 240 Championship and Dutch World Cup, each of which he has won three times. He is also a thirteen-time National Points Champion and nine-time British Champion. Frankie lives in Silsden, West Yorkshire with his wife Samantha and two children, Phoebe and Frankie, both of whom also race stock cars.